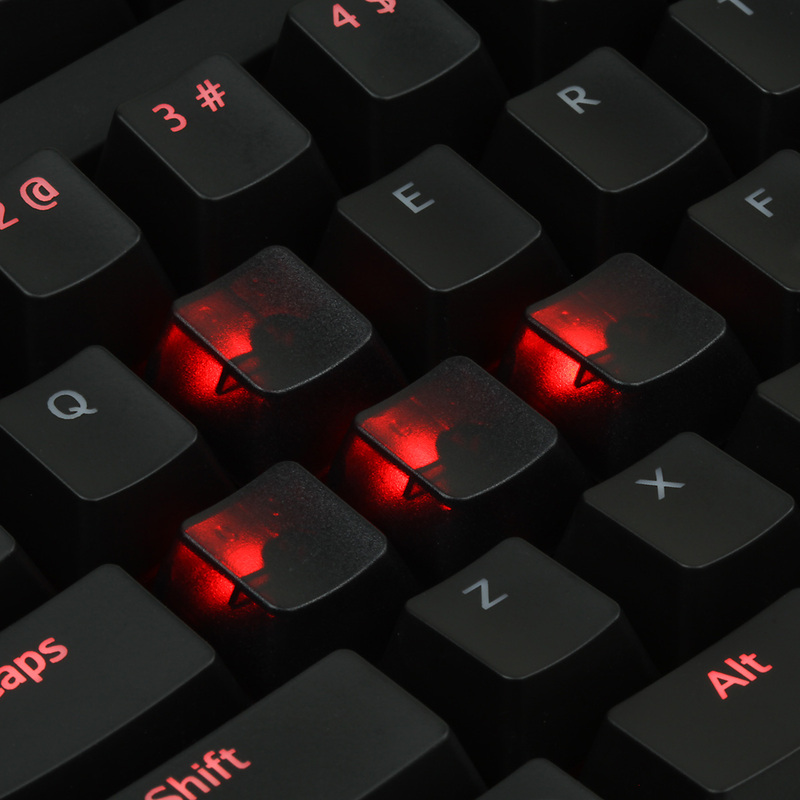 A set of 9 MAX signature Cherry MX universal translucent clear black keycap set. Our special formulation “Smoke Translucent Clear Black” gives you a distinctive look of black-gray color when there is no light pass-through them. When backlit, this spectacular keycap diffuses the light into a magical glowing effect.